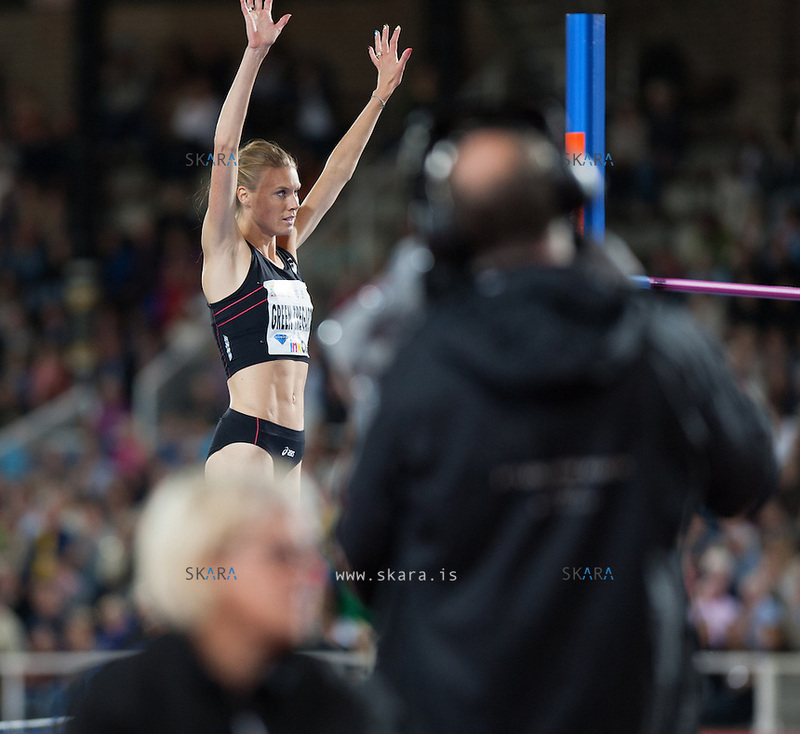 Emma GREEN TREGARO (SWE) waves the audiences at the IAAF Diamond League meeting in Stockholm after failing for the third time to get over 1.94m. She came in 6th place. She was wearing her multi coloured nail polish like she did in Moskva.